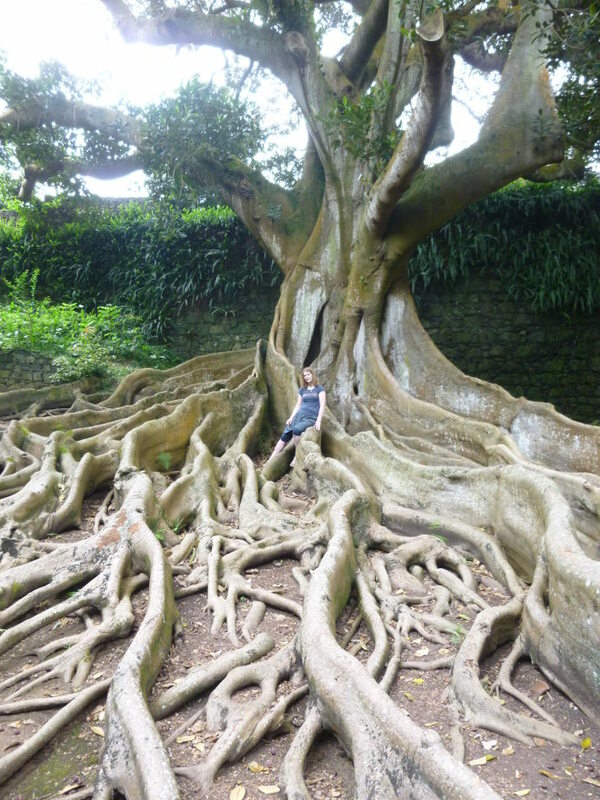 I met this Australian Banyan tree at the Jardim José do Canto botanical gardens on Sao Miguel, the Azores. Planted on the island in 1845, this particular Ficus Macrophyla Australia is the kind of tree that might well serve as a fairytale citadel. The root system and half-hollow trunk feel ripe with metaphor and possibilities. Use it as the starting point of a fantastical tale. This entry was posted in Writing prompts and tagged creative ideas, inspiration for writers, story ideas, The Azores, writing inspiration by Judy. Bookmark the permalink.